China is sometimes characterised as a climate villain. This claim is based on its rapidly growing greenhouse gas emissions and status as the largest single emitter since 2005, the year when it inherited this mantle from the US. There is no denying China’s growing responsibility for climate change. However, emissions per capita, its historic responsibility for the problem and its comparative ability to fund the transition to a low carbon economy must also be considered in order to come to a balanced assessment of liability, and capacity, for action. The weight ascribed to these metrics inevitably depends on where one sits. On balance this report finds little evidence to support the sobriquet of climate villain. In fact, it shows that China’s international climate diplomacy and overall target setting has evolved in line with its growing emissions. The 2009 Copenhagen Climate Conference, decried as a failure at the time, in fact marked a central turning point in China’s approach to joint action, culminating with the announcement of the US China climate deal in 2014. And in the past month, China has submitted a comprehensive plan to the UN, setting out China’s intended post-2020 climate actions. And while China’s commitment to peak emissions in 2030 and to “make best efforts to peak early” may not sound particularly ambitious, this pledge, as it stands, is roughly equivalent to EU and US commitments. On the other hand, the new 2030 pledge does not set a cap for Chinese emissions, and the overall level at which emissions will eventually peak remains dependent on GDP growth over the period. More importantly, “dangerous” climate change is highly unlikely to be avoided on the basis of aggregate national pledges currently on the table. Notwithstanding the adequacy of China’s pledge by international comparison, there is scope for bringing forward a more ambitious target, perhaps as part of the China’s 13th five-year plan. China’s own projections suggest that in a “high penetration” renewables scenario, emissions could in fact peak by 2025. Others believe that a peak in coal consumption may have already been reached, and that a considerably earlier peak in emissions is now realistic. Domestically, a robust climate policy framework is in place that has delivered existing targets, and which should ensure that future targets are delivered. These successes can be attributed to central role of the National Development and Reform Commission (NDRC), one of the most powerful bodies under the State Council, in policy making. It also reflects increasingly stringent controls on the activity of 8 regional authorities. China’s successful implementation of climate policy compares favourably with the “implementation gap” evident in many advanced economies. On the other hand, monitoring, reporting and verification systems lack transparent expert and public review of data and methods. Mandatory public disclosure of emission inventories by organisations and cities would be a welcome step forward. Allowing for some form of international peer review of China’s efforts would be a further advance, albeit a highly controversial issue at international climate negotiations and a challenging one for China to deliver. Significant progress has been made in putting a price on CO2 emissions. Seven pilot emissions trading schemes were launched in 2013, covering a total of 2,000 companies. Between 2016 and 2020 the NDRC plans on gradually incorporating China’s 31 provinces and other regions into the scope of the scheme. 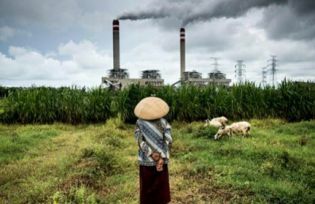 The launch of a national emissions trading scheme is a potentially groundbreaking development, but there is a need for China to avoid the design flaws evident in the EU’s scheme. Most importantly, it is necessary to ensure a real and progressive scarcity of emission allowances, and this perhaps requires a mechanism to insulate the market for allowances from external shocks. There have also been EU successes from which to learn: heavy fines have all but eliminated non-compliance; and moving progressively from nationally determined free-allocations to centralised auctioning, while favouring sectors exposed to carbon leakage, has also worked well from a political-economy perspective. China has emerged as a potential global leader in renewable technologies, and is now the largest investor in renewables of any country in the world. The other side of the coin are measures that have been introduced to control coal consumption. In 2014 coal consumption declined for the first time in many decades, and a target has been set to significantly reduce coal consumption over the next five years. In the vicinity of Beijing and other major cities, there is an emerging trend towards the closure of coal fired power plants. Much progress has also been made in promoting low-carbon innovation. Nevertheless, if China is to achieve its aim of being a global leader in low-carbon technology markets, it will need to further strengthen its ability to innovate. On the basis of this analysis there is little evidence to support the charge of climate villain. On the contrary, both internationally and domestically, China is moving at a pace roughly commensurate with its liability. Nor, however, could China yet be considered a hero. Areas for further improvements identified in this analysis include striving for an earlier cap to emissions, delivering national pricing of carbon, and a greater focus on innovation and transparency. For the West the message is clear: China is changing track to a low carbon development pathway, and should not be used as an excuse for climate inaction. The full IIEA report can be downloaded here and was drafted with contributions from Caroline Pope, KPMG Ireland, Climate Change and Sustainability Lead, and Jiayuan Chen, University College Dublin.